Poll: Did Oscar Pistorius mistake Reeva Steenkamp for an intruder? Did OP mistake Reeva Steenkamp for an intruder? I have set the poll for 7 days. I hope the trial hasn't concluded by then. Sir David Attenborough added: "They always mean beautiful things like hummingbirds. I always reply by saying that I think of a little child in east Africa with a worm burrowing through his eyeball. The worm cannot live in any other way, except by burrowing through eyeballs. I find that hard to reconcile with the notion of a divine and benevolent creator." Re: Poll: Did Oscar Pistorius mistake Reeva Steenkamp for an intruder? what criminal robs a bathroom? He heard noise in the bathroom and assumed it was a burglar and doesn't even check to see if his girlfriend is next to him before blasting? This alone strains credulity but there is other evidence he lied such as eveidence he paused between shots. Don't forget, the intruder climbed in through the bathroom window up a magical disappearing ladder! (possibly protected by a silver spoon as the Beatles once foretold). 'course Pistorius never thought to check whether there was a ladder leaning against the wall outside, before pumping three deadly black talons into his girlfriend. 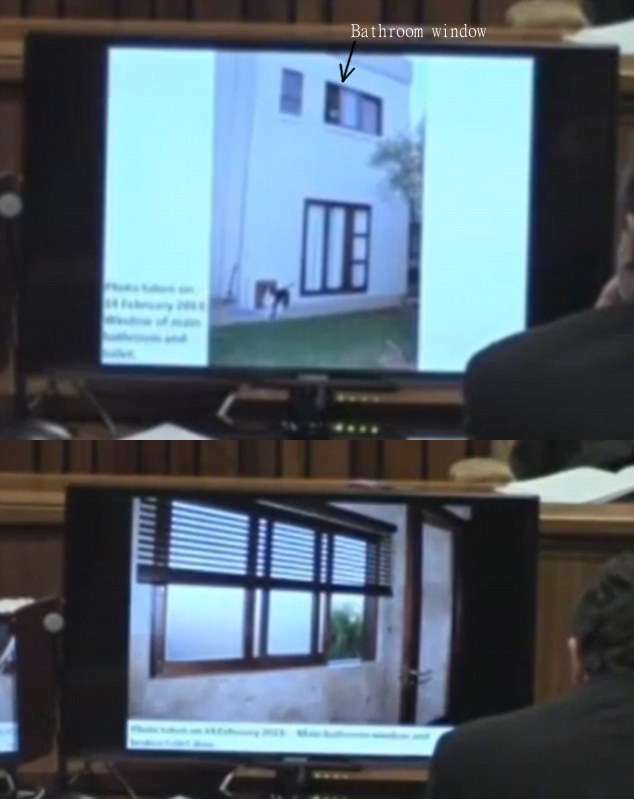 With the effect that amunition had on her, at that close range, it was more like him carrying parts of Reeva downstairs. And yes, it did make me wince a bit when I wrote this. It must have been difficult for that stumpy killer to carry Reeva down those stairs. Perhaps he did it in a few trips! Pistorius is a sick fecker just for loading his gun with that disgusting ammunition. Even without the head shot they say Reeva probably would have died from the arm and hip wounds alone due to massive trauma and blood loss. Had she lived her arm would have been useless and almost certainly amputated. She would have been lucky to walk again and certainly would have been massively impaired. Probably requiring walking aids for the rest of her life. God I hope he rots in prison for decades! I would send him in there without his prosthesis too!